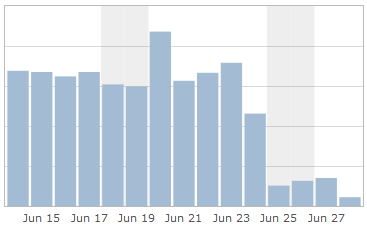 Google has apparently made a page rank algorithm update on about June 23rd 2011. I can tell because traffic at greginthedesert.net has dropped to about 1/100 of it’s normal traffic. This is not the first time a Google PR update has affected traffic negatively and I’m hopeful this will be a temporary situation as it has been before.